There is no denying the fact that we live in a digital world. 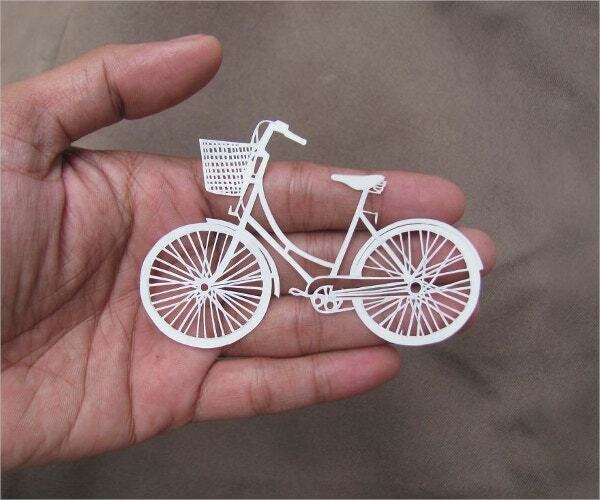 But that doesn’t take away the significance of paper art from our lives. Most designers these days use digital media to improvise and develop their creative ideas. However, there is still something magical about paper art that designers keep getting back to this ‘physical canvas’ every now and then. Designers use paper to brainstorm design ideas on a notebook, doodle around in a sketchbook or simply draw sketches for the next project. You can also see Street Art Designs To Inspire Your Aesthetic Sense. 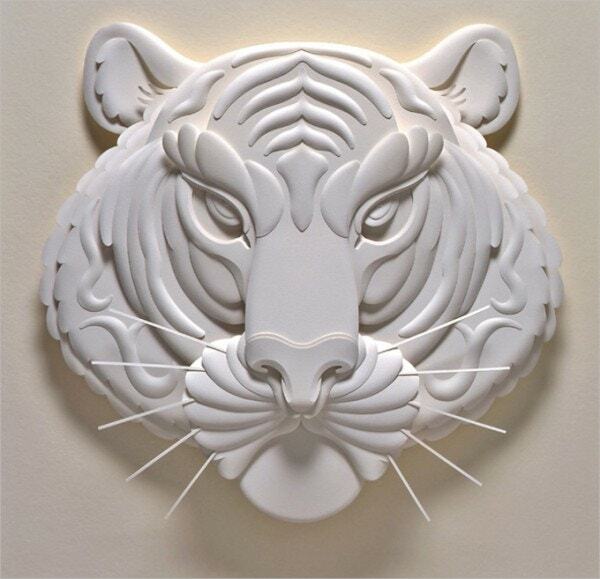 This Tiger Paper Art has been crafted by Los-Angeles based artist Jeff Nishinaka. In the paper art above, the artist has created a 3D sculpture of a tiger on paper. He has made the tiger look very lively through his artistry. 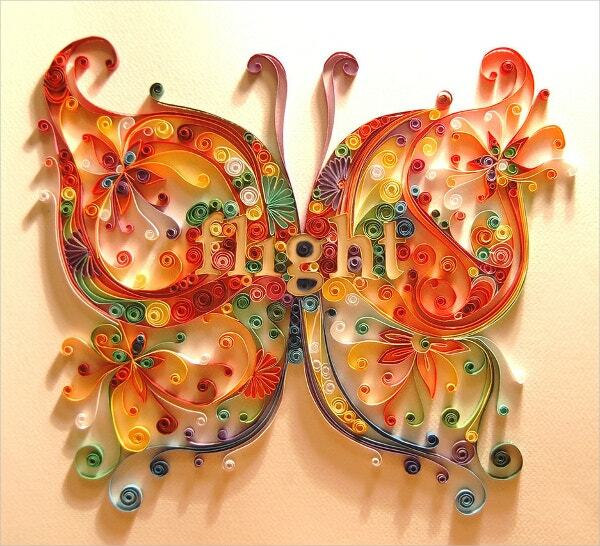 Of the many forms of paper art, Swirl Paper Art Quilling is one of the most popular and unique forms of paper art. Here in the above paper art, the artist has created a fantastic piece of art on twirl paper and has used vibrant colors which give it an amazing look. 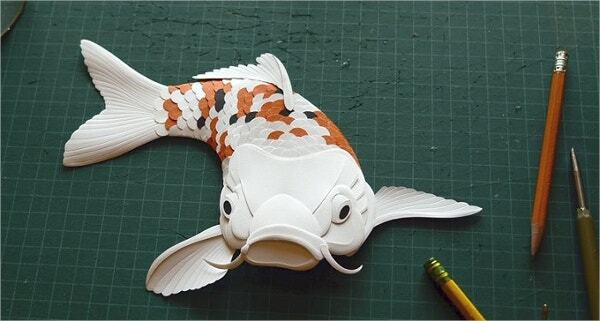 This Fish Paper Art Design is a creation of the Australian artist Lisa Rodden. The artist here has transformed a simple slice of paper into a beautiful three-dimensional artwork by carefully slicing and lifting up layers. The artist has used minimal color in this paper art and a fantastic use of light and shadow technique can be seen here. 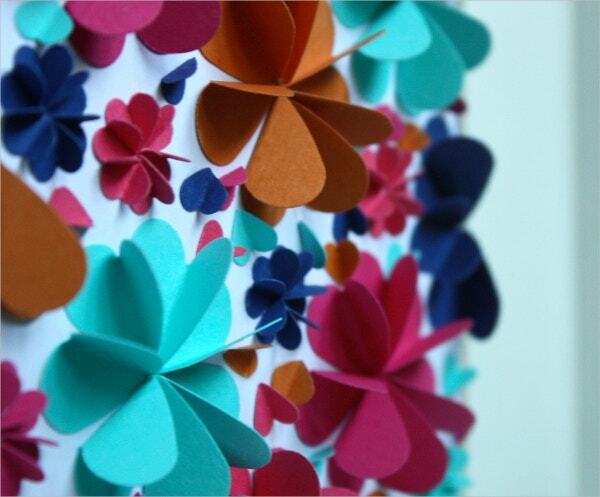 Paper art designer Sarah Fallon has created this lovely Colorful Flower Paper Art. 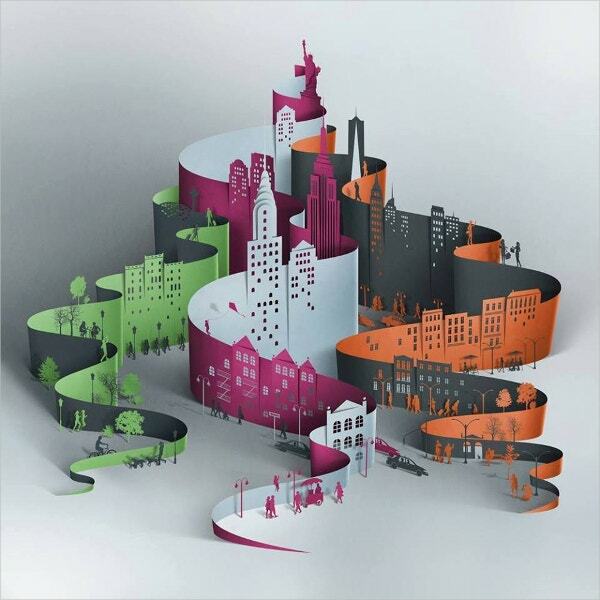 This paper art is a fine example of the use of vibrant colors, clean lines, interesting shapes and textures. The artist has taken the concept art to another level through her designs. 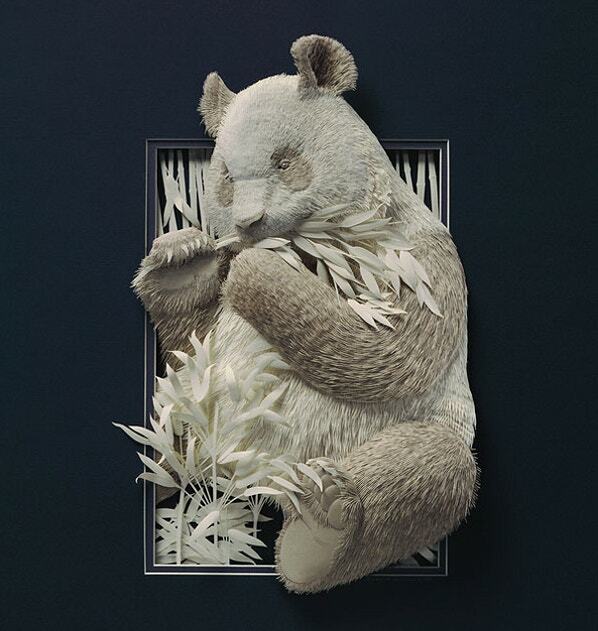 Cool Panda Paper Art is one of the most wonderful pieces of paper arts created by artist Calvin Nicholls who is an animal enthusiast himself. Most of his paper artworks are based on animals and in this Cool Panda Paper Art, the artist has brought the panda to life through his marvelous artistic expertise. He has used lighting shadows to create a feeling of depth in this amazing art piece. Peacock Feather Paper Art is yet another masterpiece created by ace paper artist Lisa Rodden. The artist is known to create delicate and detailed hand cut paper arts by slicing, layering, painting and folding techniques. 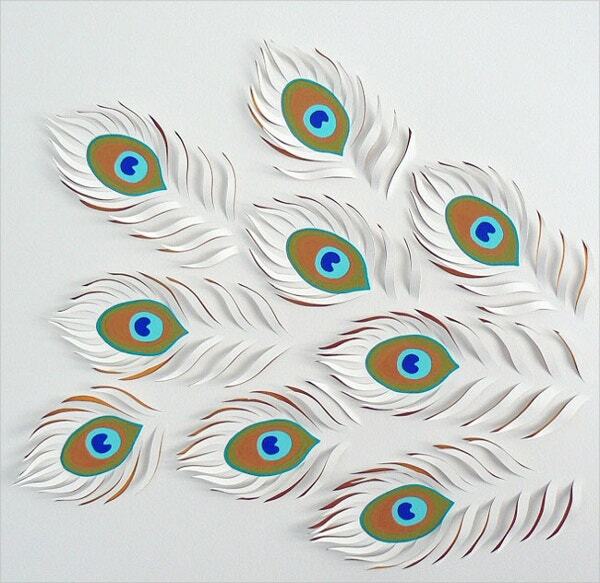 This Peacock Feather Paper Art is a fine example of her creativity. 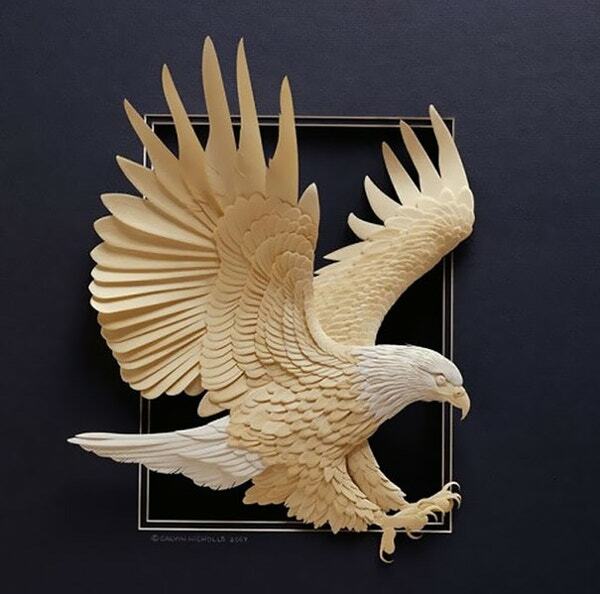 Paper Art of Eagle is another fine paper art creation by the award winning paper artist Calvin Nicholls. In this art piece, the artist has created a fine 3D image of an eagle. The artist’s craftsmanship can be seen in the manner in which he has made the eagle look so realistic. 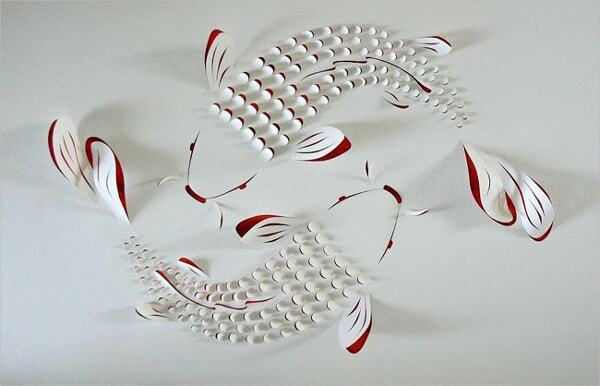 Gonzalo Garcia Calvo is a passionate paper artist and Guitar Paper Art is one of his prominent paper artworks. The artist has a knack of fiddling with paper and uses a variety of techniques to create impressive pieces of paper arts. 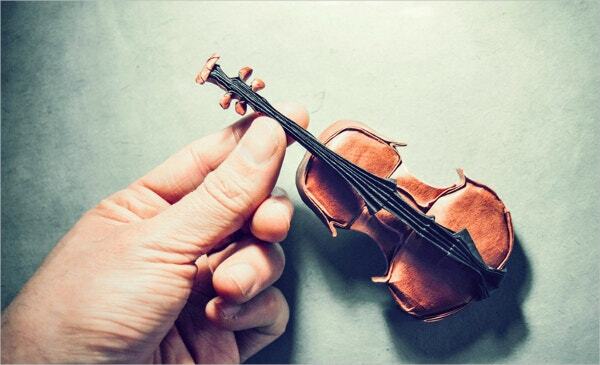 The artist is also a musician and has shown his love for music through this beautiful Guitar Paper Art. 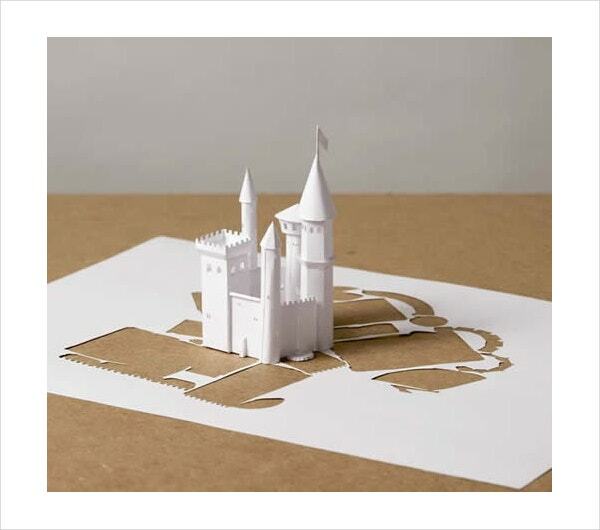 This amazing piece of paper art is created by the popular artist Peter Callesen. 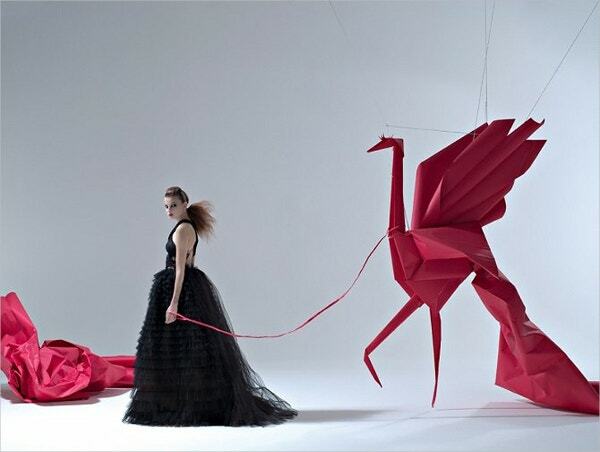 Callesen has used an A4 sheet of paper for creating this beautifully crafted paper art. Here you can see a magical transformation of a flat sheet of paper into an awesome looking mansion that expands into the space surrounding it. People may assume that the connection between art and paper is only limited to drawings, sketching etc, but this notion is an understatement. 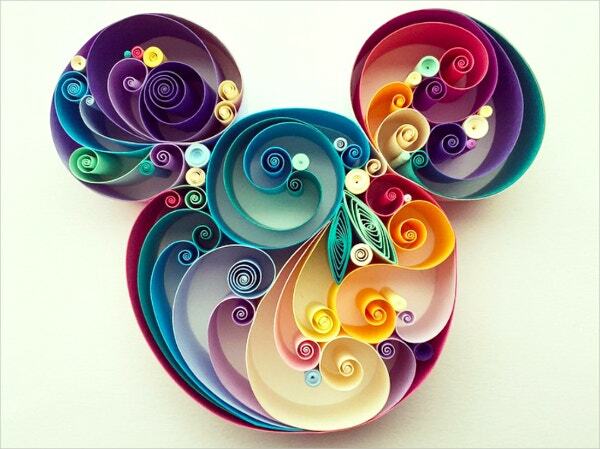 There are plenty of paper artists out there who can create magic through their creativity just by using paper. You can also see Extraordinary Geometric Wall Art Designs.